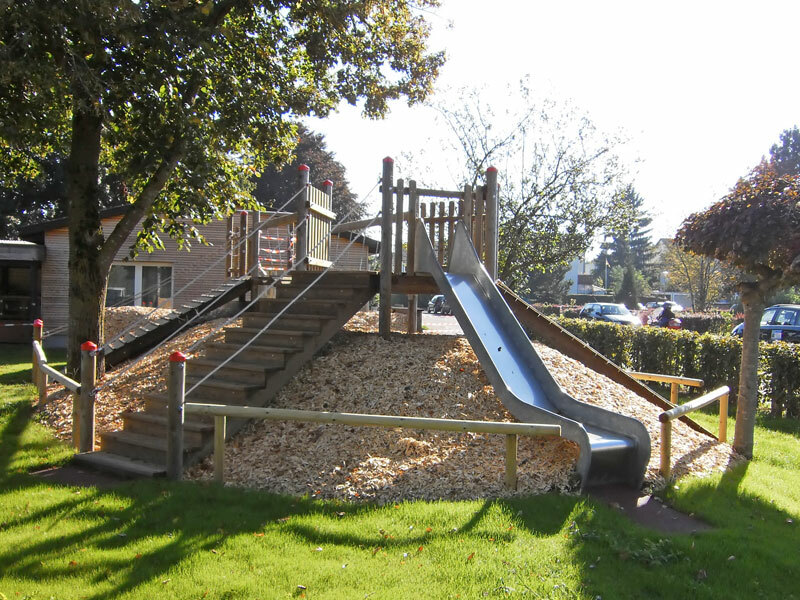 In place of the old and decaying playground equipment, a new and varied play platform was built in the form of a larch timber-stilt construction. Underneath is a creep pipe accessible from numerous entry points. 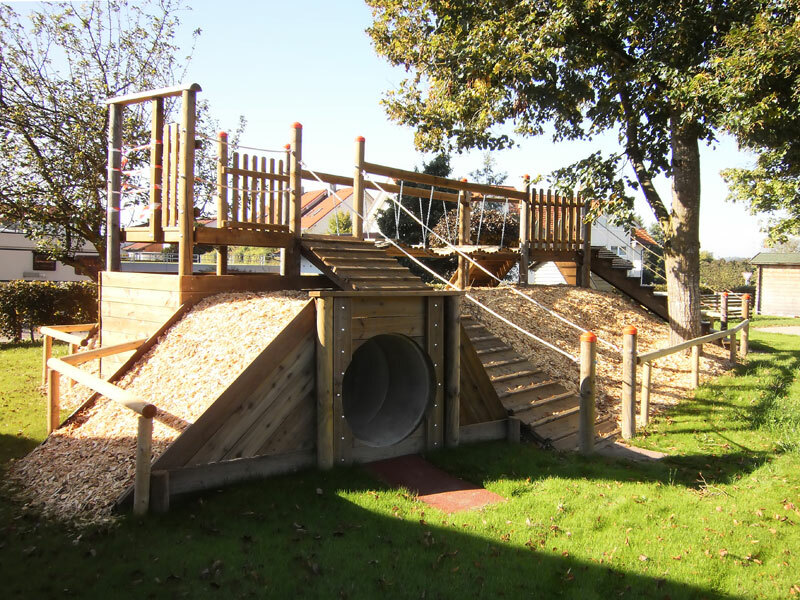 By using differently formed surfaces the upper level offers challenges for developing the children’s motor-skills, like the Wobble Bridge for example.